An ultramodern oasis, built on a double lot in 2016. The 05 bedroom residence was developed with state-of-the-art home technology and impeccably designed to enjoy the serenity and beauty of island living. Marble and wooden floors are paired with bright accents and light pours into every room. Standout features include a kitchen with top-of-the-line appliances, an in-home theater and space integration through the latest connectivity systems. All lower level areas open fully to create a single indoor/outdoor living space with the water as a backdrop. An infinity-edge pool flanks the home x2019;s interior spaces and 122 feet of water frontage allow for two docks, which can be used for one large yacht or two boats. The rooftop, fully equipped w/its own gourmet kitchen, offers stunning ocean views. 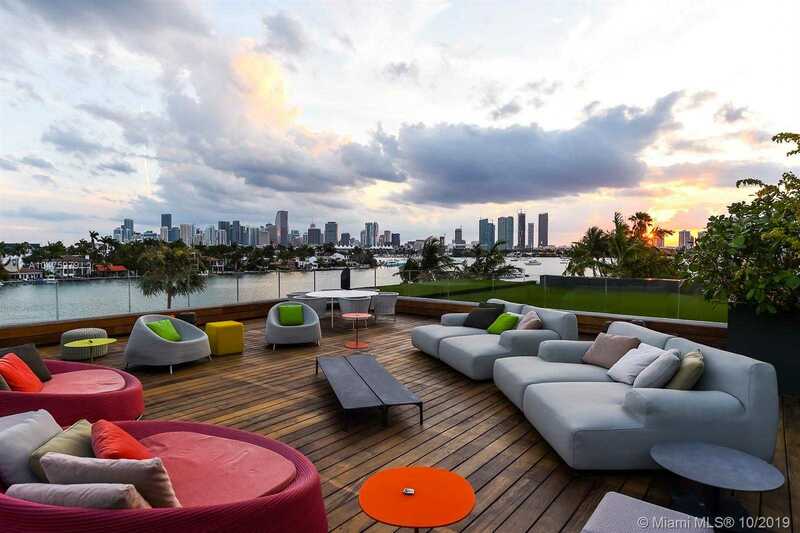 Please, send me more information on this property: MLS# A10475279 – $31,990,000 – 370 S Hibiscus Dr, Miami Beach, FL 33139.